home / STARTicles / Which Social Network is Best For Your Business? Think way back to 2007. Google + didn’t yet exist, Twitter was just launching, and Facebook had just started gaining popularity outside the college crowd. 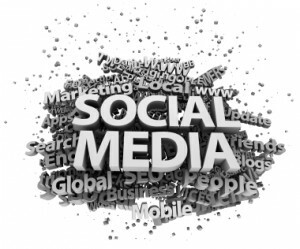 Today, 75 percent of small businesses use social media, according to CNN. It may be hard to believe, but in less than 10 years social media has reinvented the way businesses look at lead generation, marketing and referral traffic. Businesses also have more options than ever when it comes to which social media platforms to use, and it can be tricky to know where to allocate your time and resources. If you’re wondering how to launch into social media, here are five social media platforms worth looking into. In case you think Facebook is still just for the kids, consider this: while young adults have a large presence there, the 45 to 55 year old age bracket is the fastest growing demographic on Facebook. With 1.15 billion active users, Facebook is still the world’s largest social network. It’s great for building a presence and building relationships with potential clients. Here’s an example of how a winery has been using Facebook and other social media outlets to increase sales. Social media and SEO experts predict that 2014 is going to be a big year for Google +. It already has more users than Twitter, putting it right behind Facebook as the largest social media network. And of course, it’s owned by search engine giant Google. That means using Google + can impact how your site’s search rankings perform on the web. Google + offers several features businesses can take advantage of: Hangout, which allows video chats, Circle allows you to customize messaging to different audiences, and a community feature offers many networking possibilities. Read more about making the most of Google + here. LinkedIn made a name for itself as the professional social networking site, and that is still true. It is designed for and used by professionals, and many of its users have advanced degrees and earn higher incomes than those on other social networks. It is especially key for B2B connection, and offers a way to exchange information and have conversations with others in your industry. The site has launched some new features, including its Influencers Program, a way to follow and share insights from industry and thought leaders. Twitter is another site that helps businesses build relationships with others in the industry and with customers, and many people take it for granted that they can follow businesses there. It’s great for promoting events and engaging in conversations where you can offer insights. Using the hashtag symbol (#) can help you find conversations relevant to your business. Beware, though, as it is all too easy to lose hours on Twitter. Visual content has increased its presence in social media, and is predicted to play an even bigger role in social networks in 2014. Video in particular is an emerging trend, and sites like Instagram and Vine allows users to share “micro videos” that are a few seconds long. Experts predict that visual content will become a key part of content strategy, and businesses should think about how to “show, not tell” with pictures and video.